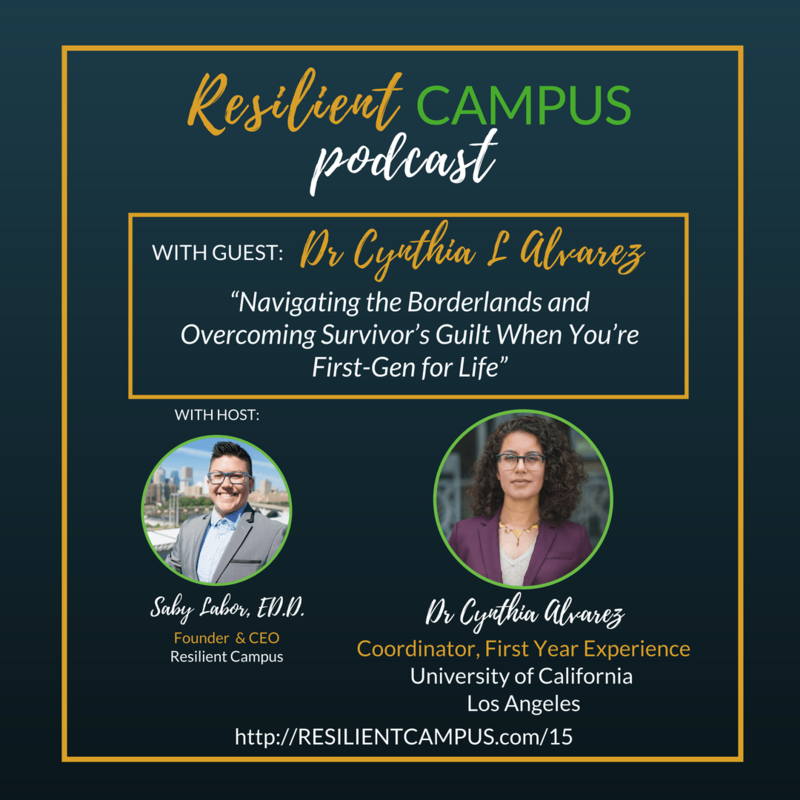 In this episode, Dr. Cynthia Alvarez shares what it means to be ‘first-gen for life’. Her work celebrates and supports first-generation students, parents, and family members. She speaks to her experiences straddling two worlds, experiencing survivor’s guilt, and imposter syndrome. Her earliest experiences as a student observing structural barriers experienced by her twin brother influenced her pursuit of a Ph.D., so that she could enact positive change in educational environments. Dr. Alvarez shares a key piece of guidance informed by her own professional lessons learned. Cynthia L. Alvarez, Ph.D. was born and raised in Indio, CA. A daughter of immigrant parents who came to the U.S. as day laborers and field workers, Dr. Alvarez grew up with an idea that her parents planted in her head: receiving a college education was the ticket to a better life. Dr. Alvarez attended the University of California, Los Angeles and received a Bachelor’s Degree in Chicana/o Studies and Women’s Studies in 2007, a Master’s Degree in Higher Education in 2008, and a Ph.D. in Higher Education in 2016. She is now a coordinator with First Year Experience where she implements programs that help students transition into the college environment and continue their journey toward graduation. Dr. Alvarez has produced multiple articles and studies about the experiences of Latino/a students and families. Dr. Alvarez has also worked as a research analyst for the Higher Education Research Institute and as a lecturer within the Department of Chicana/o Studies. Throughout the years she has kept involved in outreaching and mentorship efforts in Los Angeles and the greater Los Angeles area. As a researcher, her expertise lie in issues of college access, particularly for Latinx students, the issues families face when thinking and deciding about college, and the influence of family dynamics in the development of college-going perceptions and aspirations.